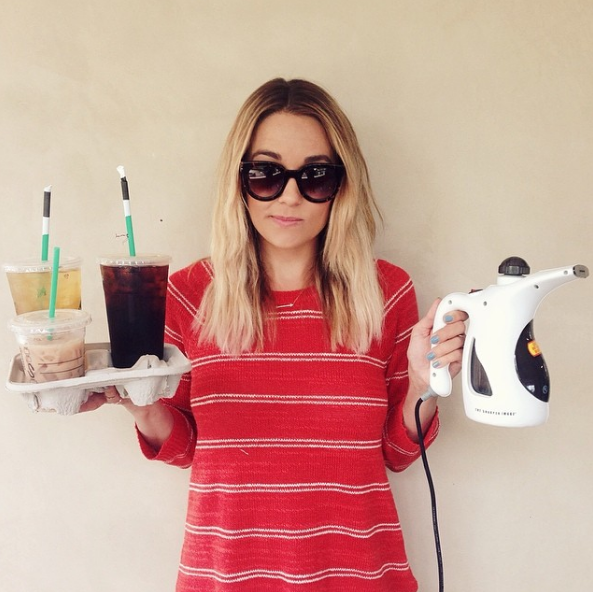 I hope that everyone has been enjoying my Ask Me Anything themed month on LaurenConrad.com. When I announced this month’s theme in my editor’s letter, I also called on all of you to send your questions my way. I got a great question from a reader named Jaimee Rindy about how to turn an internship into a career. Well, I think the fact that Jaimee is already so concerned about her long-term career goals is a sign that she’s on the right track! But I wanted to address this topic in more detail since it’s something I get asked about all the time. This is another way of saying always be on your very best behavior. If you think of your internship like an extended job interview, you will truly give 110 percent, 100 percent of the time. Once you are hired at a job, it’s probably not the end of the world to show up to the office 15 minutes late every once in a while. But being even a few minutes late to a job interview (or an internship) can potentially damage your supervisor’s view of your work ethic. The same goes for the way you dress. Even if the company has a very casual dress code, you wouldn’t show up to a job interview in jeans and a T-shirt. So with that in mind, I always recommend erring on the side of overdressed when you show up to intern. This is your chance to stand out from the rest of the intern crowd. 2. …But never act like you’re entitled to one. Of course it’s fantastic if your internship does turn into a full-time job. But you never want to act like you’re entitled to one. Even after you gave it your all, the company simply might not be hiring for a position that you would be suitable for. Keep in mind that the relationships you form at an internship can lead to a valuable connection or a stellar letter of recommendation that will help you land a future position. Or, if it’s truly a great fit, you might be able to apply for a position with the same company you interned with later on down the line. So always stay humble and grateful. This will help you get the most out of your internship while keeping your expectations in check. I know what you’re thinking: What does making friends have to do with an internship? The answer is… Everything. Ensuring that you leave a lasting positive impression is about more than just doing good work. The interns I’ve hired who were nice, friendly, and meshed well with our other employees (while of course, also doing good work), are the ones who I’ve wanted to go above and beyond to help once their internship is complete. As I’ve said before, networking is all about relationship building. And you want to leave an internship having formed meaningful professional relationships. Now, go out and get ‘em! Do you have any internship advice of your own? Please share it in the comments below.